Bobby Vernon, Jr., 7, recently adopted by James and Marie Lapp, “therapeutic foster parents,” when he was put into a coma by his parents during a Holding Therapy session. Bobby was put into restraint on the floor when he refused to do more running up and down stairs, a compliance training exercise required of the boy. According to Bobby’s siblings, one or both of the parents slammed the boy’s head repeatedly on the floor until it fractured. The parents failed to call 911 for help until an hour after the boy lost consciousness. The siblings related to the authorities that they had been starved, isolated and beaten. The Lapps claimed that their adopted and foster children were victims of “Satanic Ritual Abuse”; they committed suicide shortly after this incident. 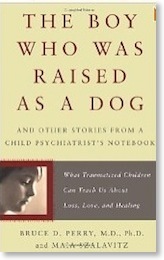 This case is described in detail in Bruce Perry's book, The Boy Who Was Raised as a Dog: And Other Stories from a Child Psychiatrist's Notebook Child Psychiatrist's Notebook--What Traumatized Children Can Teach Us About Loss, Love, and Healing, Basic Book, 2007.